A Home Away From Your Own! 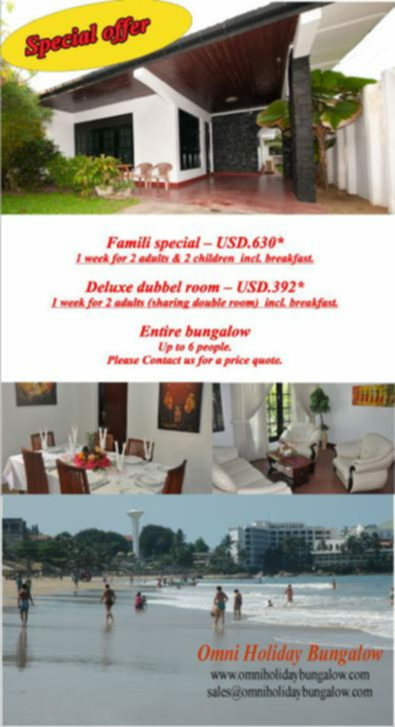 Omni Holiday Bungalow +94 (0) 11 272 2397 Mount Terrace, Huludagoda Road 71G Mount Lavinia , Sri Lanka. We stayed for two weeks as we were attending a wedding at the Mount Lavinia Hotel which is around the corner. The room was spacious, with good storage, the mattress was comfortable and the bathroom was lovely. Best of all was the house manager who was friendly, kind and kept the place in perfect order. It is right next to the beach with shops, bars and restaurants nearby. Central town can be reached by bus, train or rickshaw and drivers all know the way back to Mount Lavinia hotel. Good wifi and comfortable sofa too! Address: 71G, Mount Terrace, Huludagoda Road, Mount Lavinia, Sri Lanka.